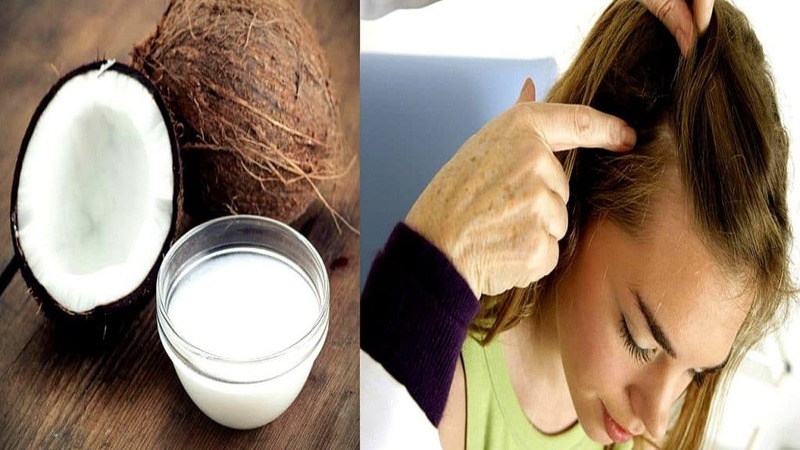 Can Coconut Oil Treat Scalp Psoriasis? Psoriasis rashes are hard to treat, especially when they develop on your head. According to Psoriasis and Psoriatic Arthritis Alliance, at least half of people with psoriasis have symptoms on the scalp. Given the speed with which psoriasis develops and specifically the difficulty in treating scalp psoriasis, you may consider alternative methods to relieve itching and pain. Coconut oil can offer some hope for scalp psoriasis, but it should not replace the treatment plan described by your doctor. Scalp psoriasis, what is it? Scalp psoriasis is frequently misdiagnosed as seborrheic dermatitis. In contrast to the latter condition, psoriasis is distinguished by red, silvery scales resulting from increased cell turnover. These scales can irritate like a dermatitis, but they can also burn. Scalp psoriasis can begin on one side of the scalp and spread rapidly throughout the head. Spots and scales tend to be more common behind the ears and at the edge of the hairline. This can make concealing the condition difficult. The duration and effectiveness varies on these treatments. Outbreaks of psoriasis can last for weeks or even months. Some people use a combination of therapies to control their psoriasis. This combination may include a different treatment such as coconut oil. Coconut oil is best known as a cooking aid for people looking for a healthier replacement to vegetable oil. 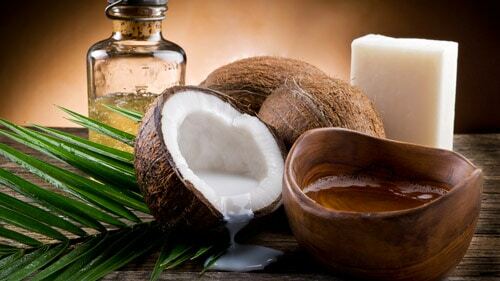 In solid form, coconut oil is also used as a moisturizer for the skin. In fact, there are a lot of benefits of coconut oil for skin. One of those many benefits is that it can be used as a topical treatment for psoriasis. One of the best benefit of coconut oil is its ability to moisturize the scalp. Actually, it is sometimes used as a conditioner to moisturize dry scalp and skin, while eliminating excess sebum (oil). This can bring hope to people who experience dry scales that itch relentlessly. Coconut oil alone may not be a enough treatment for psoriasis, but adding such a thick cream to the scalp can help remove the scales. It is best to apply the oil after the shower. This is when your skin is better able to catch moisture. Leave the oil for about half an hour. When you cleanse the coconut oil from your scalp and hair, massage your scalp with your hands. It is important to do this smoothly. Ripping off scales can cause skin irritation and infections. After rinsing, comb your hair. This will help eliminate the trapped scales in the hair. Remember, this method can give you temporary comfort from excessive dandruff, but without other forms of treatment the scales are likely to return. Should You Cut Skin Tags Off Yourself?